Guitar – what a superb musical instrument! It is one of the best ways to express your feelings as well as your creativity! Now, your best friend will stay in its best form for a long time only if you take care of it and one of your routines should be to clean it. 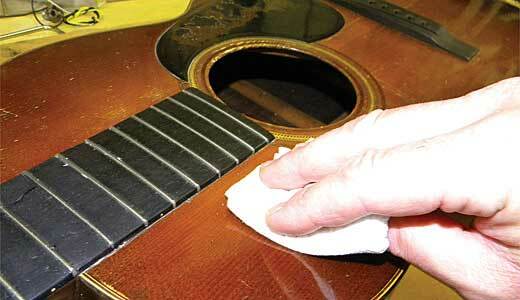 Guitars that are not cleaned on a regular basis tend to cause problems, not tune properly, etc. You don’t want that now, do you? Having said that, you should also understand that all guitars are not the same. They are made of different woods, for example, and each of them has special care requirements. How to Clean a Maple Fretboard? Use steel wool (ultra-fine) to clean an unfinished maple board. You can use a slightly damp cloth as well. With these options, the dirt and dust will disappear in no time. If your fretboard is made of lacquered maple, though, you cannot use steel wool. Steel wool is too harsh on these fretboards and will remove the shine along with the dirt. Only use a piece of damp cloth in this case. Use a drop of guitar polish if you want to. It helps get the stubborn stains off. 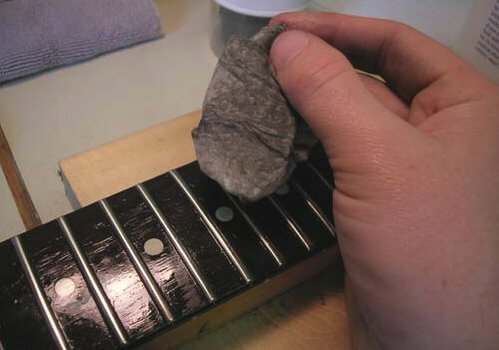 Always use paste polish for a finished maple board but remember, you cannot use the polish to clean the frets as well. It is recommended only for the maple board. Using lemon oil will lead to disastrous results. It should never come anywhere close to your maple guitar because it will strip the board of its sheen. Know what the type of finishing on your maple board is. Poly finish is easier to clean because it is strong enough to withstand many solvents and cleaning materials. Nitrocellulose is very delicate, on the other hand. It needs the utmost care and respect. Do not use any solvents that have petrochemicals in them. Always keep windows and doors open when you use solvents. Closed areas can be toxic. Many users recommend Naphtha for their maple boards. You can opt for this as well. Use a large, well-lit area to clean your guitar. You need adequate lighting to spot all places that are dirty and to clean them properly. Be patient while cleaning your maple fretboard. If you do it in a hurry, you will miss many important spots, and you will have to redo soon enough. This is possibly the easiest. You only need a soft cloth, to begin with. Wipe them clean one after the other before you polish them. 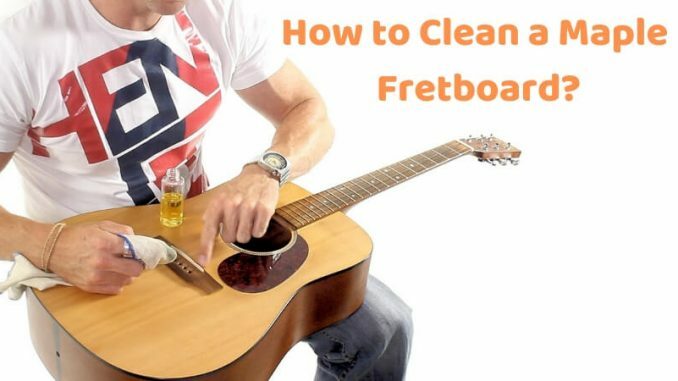 Why should you clean the frets, though? Only for aesthetic appeal? Nope! Clean frets sound better. They are easier to strum as well. To reduce the times you have to clean your board, you should take precautionary steps. They are simple but highly beneficial. Wash your hands before you touch your guitar. Follow this every single time. Your hands have to be clean without any debris or greasy food remnants on them. Don’t leave your guitar anywhere you feel like after you are done using it. Always put it back in its case. Cleaning your maple fretboard shouldn’t feel like a lot of work. It is a routine task that will ensure that your guitar remains your best buddy for many days to come. Just be careful and mindful from start to end, and you will end up enjoying the activity. All the best!